Much has been said and written about the failure of U.S. intelligence to prevent the terrorist attacks on September 11, 2001, and its overestimation of Iraq’s weapons of mass destruction under Saddam Hussein. This book focuses instead on the central role that intelligence-collection systems play in promoting arms control and disarmament. Ambassador Thomas Graham Jr. and Keith Hansen bring more than fifty combined years of experience to this discussion of the capabilities of technical systems, which are primarily based in space. 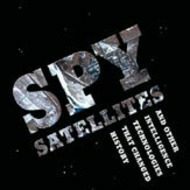 Their history of the rapid advancement of surveillance technology is a window into a dramatic reconceptualization of Cold War strategies and policy planning. Graham and Hansen focus on the intelligence successes against Soviet strategic nuclear forces and the quality of the intelligence that has made possible accurate assessments of WMD programs in North Korea, Iran, and Libya. Their important insights shed a much-needed light on the process of verifying how the world harnesses the proliferation of nuclear arms and the continual drive for advancements in technology. Ambassador Thomas Graham, Jr., a senior U.S. diplomat, was involved in the negotiation of every major international arms control and nonproliferation agreement of the past 30 years. As President Clinton’s Special Representative for Arms Control, Non-proliferation and Disarmament, he led the successful U.S. government effort to indefinitely extend the Nuclear Non-Proliferation Treaty. He is currently the Chairman of the Cypress Fund for Peace and Security. Keith Hansen is consulting professor in international relations at Stanford University and has spent thirty-five years in US national security deliberations and strategic nuclear arms control negotiations.